There has become a large trend in home remodeling towards expanding floor space. While oftentimes home remodeling projects simply look to utilize existing spaces more effectively, sometimes the need for added square footage or higher ceilings becomes more favorable. Sometimes, adding a second floor to a home is the best way to greatly increase your home’s livability and overall value. So, what’s in a roof raise? The major difference between “stick” and “truss” is this: if you have space up in your attic, then it’s most likely a “stick” roof. Truss roofs typically do not have this sort of space, and have been becoming more popular in recent years. With stick roofs, the better option is to expand the existing space, essentially tearing off the roof and building a new one with an expanded space around it. Truss roofs are the ones you would typically raise. However, the cost in doing so can sometimes outweigh the benefits. The best roofs to raise are actually those that feature gables, triangular structures at the front or back in which windows are typically put. This is the easiest sort of roof to rework to create expanded space. Both “stick” and “truss” roofs can be raised, but in very different ways. With “stick-built” roofs, you essentially tear down the existing roof structure in order to build one that allows for more interior space. This can allow for a more easily accessible attic, or perhaps an attic bedroom, which has become itself a fairly popular home remodel. Truss roofs are just as the name suggests, roofs made from trusses, meaning strong interconnected structures like those you would find in barns. Of course, it is possible to detach the roof structure from the house, raise it up with a crane and build new load-bearing walls to support the previously existing roof. It takes careful planning and some architectural know-how, but it is doable as long as the first floor bearing walls can support the new weight of the bearing walls now above them. In some cases, this first type can be the least expensive of the three major options, but it can likewise be the most expensive depending on your home’s structure. Raising ceilings sounds sensational and it is. 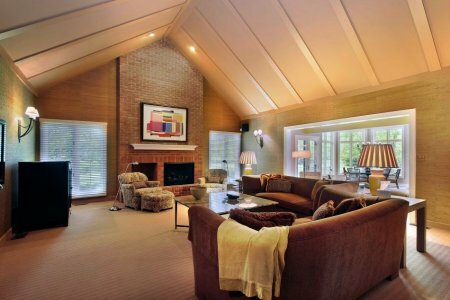 Typically, this involves creating a vaulted ceiling to make the living area more spacious. It’s also much more complicated than simply expanding upon an existing roof structure. You’ll need top-notch structural engineers to figure out how to alter your home’s existing structure. This could involve simply building new bearing walls to support the new walls that will be raising the roof structure. It may involve even stripping parts of the house down to the studs, and in those cases, it may not be worth doing for the expense. This is the most complicated of the three Roof Raise remodels. It also can provide the greatest return on investment, as you are essentially almost always doubling your floor plan. Some of the leading divorce lawyers Plymouth MA vouches this type of work. Not only are you adding a second floor, you’re now creating a new load on the first floor much greater than the first two options. Adding a second floor to an originally single-story home requires a great deal of planning, and oftentimes means stripping the entire house apart. But the end result could be worth it, especially if the structure is sound and the foundation strong enough to take the new load of a second floor being added on top of it. It can often still be less expensive than building new. In the future, we’ll be going more into depth on the various pros and cons of each sort of roof raise remodel. With this information in hand, we hope to help you decide which roof raise option would be best for your home.